A meningioma is an abnormal growth of the tissues that surround the brain, called meninges. Often, meningiomas only require periodic evaluation with a doctor’s examination and neuroimaging studies, as the tumors tend to be very slow growing. Sometimes, however, the tumor can press against the brain or spinal cord. In this case, treatment is called for. Meningiomas can be treated with surgery or radiation. The best course of action depends on the tumor’s size, location, the rate of growth, and appearance under the microscope. Appropriate treatment also depends on the individual’s state of overall health. Active surveillance, also known as “watchful waiting,” is a common initial approach to meningiomas. This is especially true if the meningioma is found incidentally during the workup for an unrelated problem. For example, a meningioma may be noticed when someone gets a head CT after a bicycle accident, although they never noticed any sign of the tumor prior to the scan. This approach is also common in people most likely to suffer side effects from treatments. Usually, a CT or MRI scan is repeated 3 to 6 months after the first. 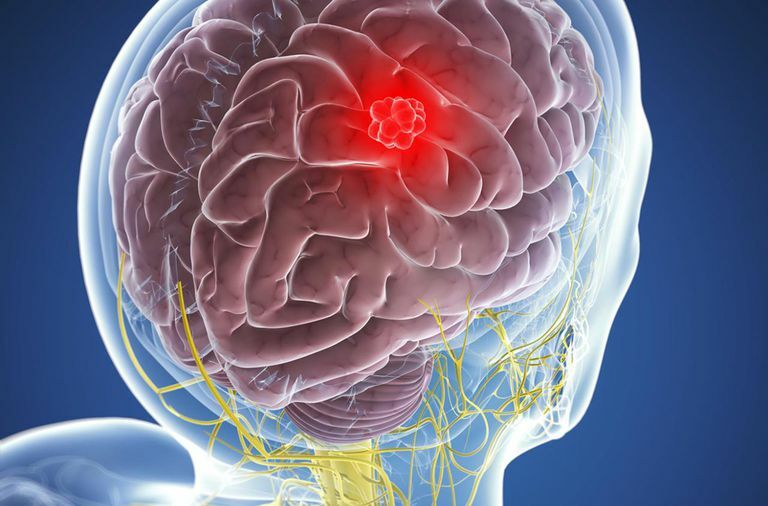 They may initially be done once a year for the first few years, assuming that there are no new symptoms and the meningioma does not significantly change. At this point, treatment may be recommended. Surgical removal of the meningioma is the preferred treatment in most cases of meningioma. While the goal is to remove all of the tumor, this may not be possible depending on the tumor's location and size. For example, if the tumor is too close to critical brain regions or blood vessels, the danger of removal may outweigh any foreseeable benefit. For example, complete resection is usually attempted if the tumor is at the top surface of the brain or the olfactory groove. Partial resection may be more appropriate may be necessary for hard to reach regions such as the clivus. Neurosurgery has risks. For example, swelling may occur with an accumulation of fluid in brain tissue called cerebral edema. Such swelling can cause neurological problems such as numbness, weakness or difficulty with speaking or movement. Cerebral edema may be reduced by medications such as corticosteroids and tends to go away on its own within a few weeks. Seizures may sometimes occur after a surgery as well; however, while anticonvulsants are often given to prevent seizures, such use is not generally indicated and is a topic of some controversy. Because the body wants to prevent excessive bleeding after a surgery, clots may form more readily, including in places where blood is supposed to flow freely. For this reason, treatments to prevent blood clots are commonly used. Risks to surgery also depend on the tumor extent and location. If the tumor is at the skull base, for example, cranial nerves in the area may be at risk during the surgery. Radiation therapy usually involves the targeting of high energy x-rays towards the tumor. The goal is to minimize radiation exposure to the rest of the brain. Radiation is usually recommended for nonsurgical and aggressive tumors, and while there are no randomized trials of the practice, radiation is usually recommended following surgery in aggressive tumors. Radiation therapy can be delivered in several ways. One method, fractionated radiation therapy, delivers multiple small diseases over a prolonged period of time. This method is particularly useful in optic nerve sheath meningiomas, and perhaps with small meningiomas at the base of the skull. In contrast, stereotactic radiosurgery delivers a single high dose of radiation to a very localized area of the brain. This method is best used in small tumors in selected sites where surgical excision is too difficult. Side effects of radiation therapy are not usually serious. Hair loss usually occurs in fractionated radiation treatment. While the loss may be permanent, hair usually begins to grow within three months after treatment. Mild fatigue, headaches or nausea may also occur. WHO grade II and III tumors are usually treated with a combination of surgery and radiation, with the latter being given higher radiation doses than for WHO grade I meningiomas. Despite all efforts, meningiomas sometimes recur, usually next to a field of radiation. Meningioma may also spread in the spinal fluid down to the spinal cord (“drop metastases”). Decisions in treatment are best made in conjunction with a neurosurgeon, with decisions in dosing and methods of delivering radiation guided by a radiation oncologist. Arvold ND, Lessell S, Bussiere M, et al. Visual outcome and tumor control after conformal radiotherapy for patients with optic nerve sheath meningioma. Int J Radiat Oncol Biol Phys 2009; 75:1166. Marosi C, Hassler M, Roessler K, et al. Meningioma. Crit Rev Oncol Hematol 2008; 67:153. Minniti G, Amichetti M, Enrici RM. Radiotherapy and radiosurgery for benign skull base meningiomas. Radiat Oncol 2009; 4:42. Pamir N, Black P, Fahlbusch R. Meningiomas: A Comprehensive Text, Elsevier, 2009. Yano S, Kuratsu J, Kumamoto Brain Tumor Research Group. Indications for surgery in patients with asymptomatic meningiomas based on an extensive experience. J Neurosurg 2006; 105:538.